"We realize the overwheming effort you have expended in order to be inducted into the RE/MAX Hall of Fame. It is obvious that the quality of your service is unsurpassed." Lulu Sorbara's extensive 25+ years of real estate experience, combined with outstanding negotiating skills enables her to offer you the highest caliber of knowledge, guidance and assistance. Her sharp analytical skills are complimented with a down-to-earth approach. 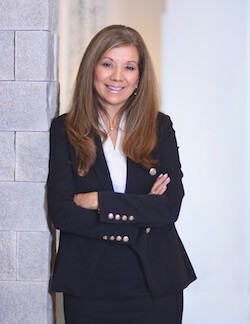 Lulu is a RE/MAX Chairman's Club member, and a recipient of the RE/MAX Hall of Fame Award. Lulu has also been recognized multiple times by RE/MAX for the 100% Club. In 2010, Lulu received the RE/MAX Lifetime Acheivement Award. Only 5% of RE/MAX Realtors worldwide hold this designation. Locally, Lulu has consistently qualified for The Medallion Club of the Fraser Valley Real Estate Board, whose membership is made up of the Top 10% of Realtors in the Fraser Valley. Lulu has been invited to speak at numerous conferences: RE/MAX International Conference, Las Vegas, Nevada, RE/MAX International Conference, Orlando, Florida and RE/MAX Annual Conference, Benidorm, Spain. As a resident of South Surrey for the past 19 years, Lulu has a vast knowledge of the local Real Estate Market and all the Peninsula has to offer.